The expert DSC AI GRID MTG is a expert that has an advanced system to authorize or not the opening of new trades, differentiating when to open orders by the Grid and also which system of Martingale to use. With that he manages to pass the long-term backtest. Before running the Robot in real account, see what minimum capital you will need for when the Robot goes through the most complicated periods in the market. Each asset, timeframe, and configuration chosen will have a different value. The default set is for the EURUSD M5 asset and requires a minimum capital of $ 35,000 for normal accounts or $ 350 for Cent or Micro accounts. (This is the maximum capital that was needed, so you do not need to have this capital in your account, you can start with a much smaller capital, but if your account ever starts with the low margin, you need to deposit amounts so that you can to open new trades and continue operating). If you want to test the expert in real account for free without making any deposit, open an account at the link below in FortFS and get a bonus of $ 75.00, which as Cent account, your account will have available $ 7500.00 to operate. After registering through our partner link, send an email to dscinvestimentos@gmail.com with your account number that we have released the Robot DSC AI GRID MTG free for a month for your new account. MagicNumber – magic number to your trades. 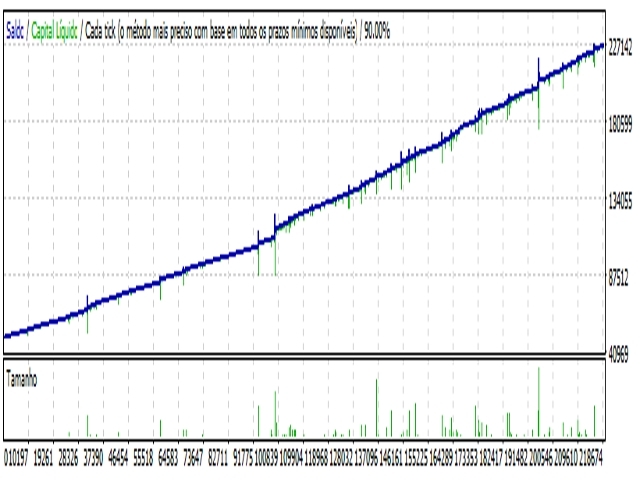 LimiteLoss – Loss limit of all assets. If the value is reached, it deletes all active orders. We work with additional deposit after knowing the historical limit of the configuration used to never need to stop the trades.